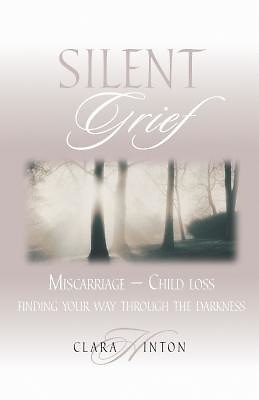 Miscarriage has touched almost every home, although it's rarely talked-about. It's the invisible pain.. Even couples who are very close and on sure footing find it too upsetting to discuss. In Silent Grief, author Clara Hinton knows what she's talking about. Experiencing the heartbreak of child loss firsthand, she tackles this universal tragedy by talking with women and men who have dealt with miscarriage. These interviews shed much light on the debilitating effects of child loss, including consuming guilt, depression, and strained marriages. Acknowledging that God is the ultimate healer of hurting families, the author shows through her interviews and personal experiences that there is hope for functioning through child loss. But the goal goes beyond that, to help families be happy again, and look forward to the future.